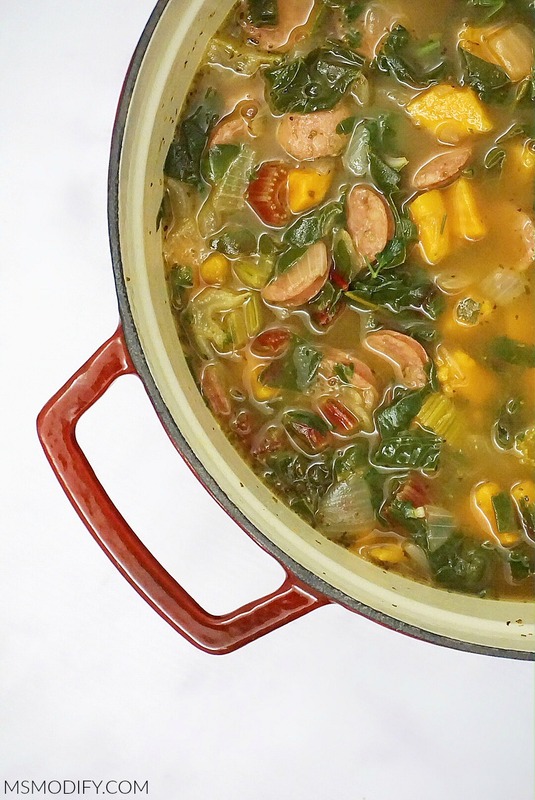 A hearty soup that’s simple to make, and packed with nutrients and flavor! There is nothing better than a big bowl of soup on a cold day! Actually, I could eat a big bowl of soup any day, regardless of the weather! 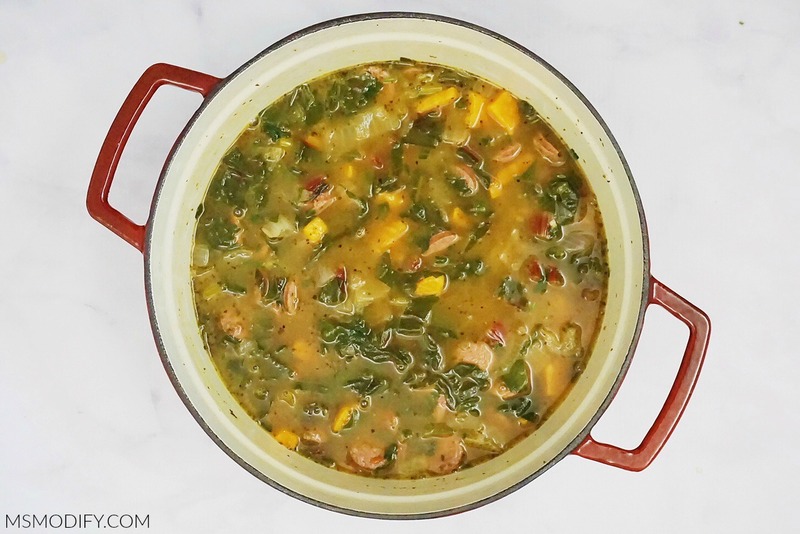 I’m just a soup kind of girl… and luckily for me, Erik is a soup kind of guy! 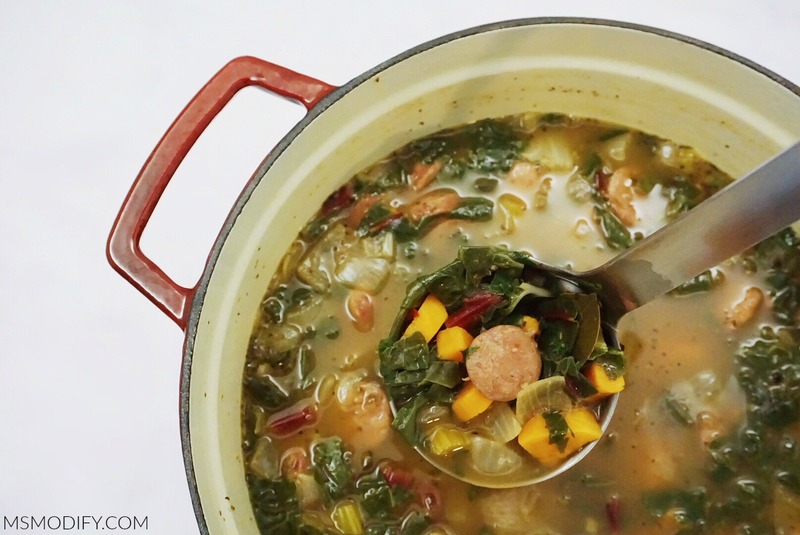 I have my go-to soups that are constantly in rotation in our house, but sometimes I like to mix it up! Literally one day I was craving soup and decided to look in my kitchen and see what we had and threw it all together! And it was a huge hit! 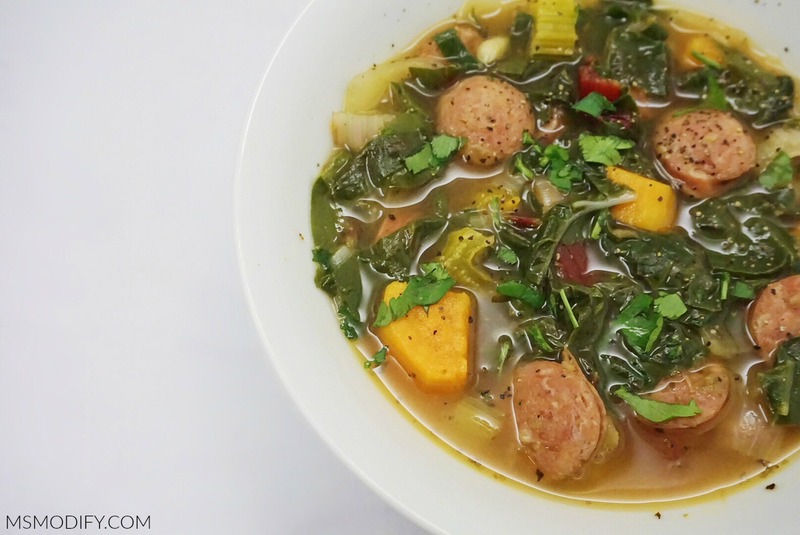 This is a soup that can be easily modified to work with whatever you have in your kitchen! If you don’t have sweet potato, feel free to use white potato (you could even use rice- but that would mean it’s not grain free, if that matters to you!). If you don’t have swiss chard, you should throw in kale or spinach! Play around with it and enjoy! 1 bunch swiss chard chopped * I used rainbow chard, but any will work. Heat olive oil in large stockpot over medium heat. Add onion and garlic. Stir frequently until onions become translucent. Add sausage, oregano, crushed pepper flakes, salt and pepper and stir for a few minutes until sausage browns a little. Add chicken broth and bay leaf, and bring to a boil. Add in sweet potato and continue cooking so they get tender, about 10-15 mins. Stir in swiss chard and cook until leaves wilt and stems soften, a few minutes. Turn off heat and season with salt & pepper, to taste. 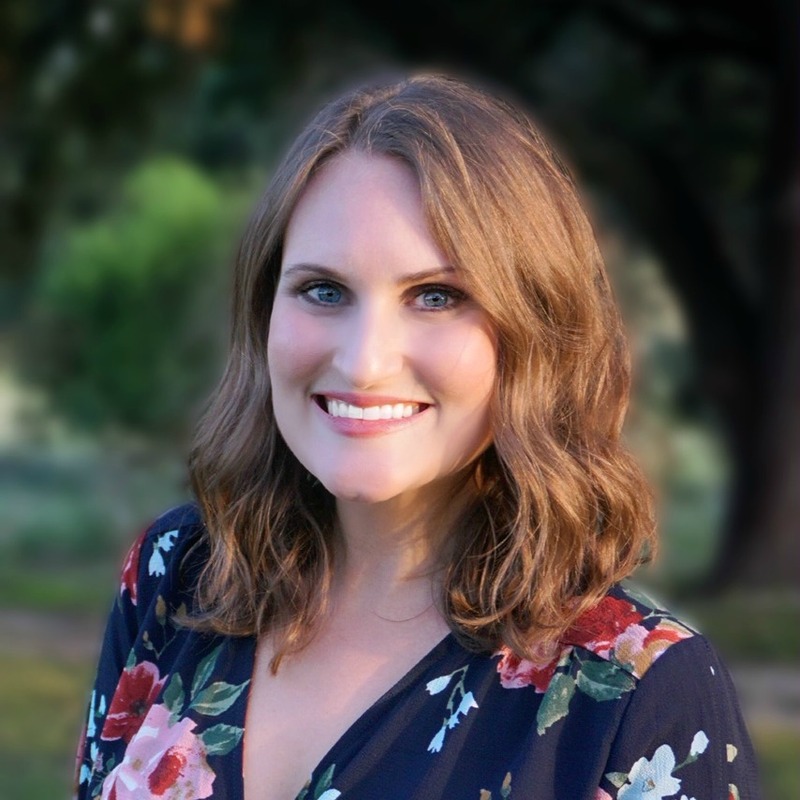 This entry was posted in Recipes/Dining Out and tagged paleo, soup, Whole30. This looks like such a delicious combo! It’s cold here all of a sudden so I’m craving soup! Though, I know it won’t last and we’ll be back to hot summer weather tomorrow! Thanks! Our weather here has been strange too, it was cold and rainy one day and then two days later was sunny and hot!